Sid Savara is the creator of sidsavara.com, a well established personal development blog that is accessible, inspiring and challenging. In terms of time, producing a high quality blog such as yours doesn’t come cheap. How do you organize your days and weeks to make sure you do what matters and still balance out your commitments with some down-time? My blog is a labor of love. I lose time and money writing it - but I gain so much life satisfaction that long term I believe it's worthwhile. And I am sure it also leads to sales and more people contacting me for services - but I don't look at it in terms of short term ROI of time or money - I write it because I love to do it. Like myself, you’re part of the ‘wake up early’ brigade. Do you employ a regular early morning routine, and to what extent has it impacted upon your life and work? I do, though sometimes life gets in the way. I aim for a healthy breakfast, time spent on my personal goals and a morning workout every day before I get "down to business". I think the biggest impact it has had on me personally is it shows me the value of my time - and how much I can accomplish when I focus. I loved the analogy you used of time as a tube of toothpaste. How do you know when to stop squeezing? :) To put it another way, what strategies do you use to put a limit on projects, tasks and events? This is a really difficult question. To limit my time on tasks and projects, I spend some time every day reviewing what is high leverage and what is low leverage - that is, what results will I get out of my personally spending time on an activity. That changes week to week as projects pique my interest: it sounds kind of silly to say, but if I'm not interested and not motivated to work on something, I either motivate myself to do it - or I don't, and I work on whatever I'm actually interested in. My energy and interest ebbs and flows on projects - and that's part of what makes me more or less effective working on it, and in turn contributes to my personal time leverage. Would you advocate constantly keeping an eye on the clock? Is there ever justification for people allowing themselves to ignore it and work unchecked if they’re ‘in the zone’? I think this really depends on the person. Some people work better under time pressure. Personally, I think it's best to set aside time for your most important tasks and then spend whatever time is needed to get it done. The problem is so many people (and yes, myself included!) will procrastinate given a large block of time to finish a task. Talking of timepieces, is there too much emphasis on clocks and time management? Or is an inevitable result for people living in monochronic cultures? I think to a certain extend focusing too much on time can cause people to optimize the wrong things. For example, it doesn't matter if you drive home 5 minutes faster by finding a shortcut, if you're spending 12 hours a day at a job you hate. What events and circumstances triggered your passion for productivity and time management? Good or bad, what stops you from working? Usually having to go somewhere! I actually use this to force myself to be productive - if I know I have to meet my friends for dinner at 8, and I schedule in time to practice guitar at 7, I make the most of that hour practicing: because I know in an hour I have to leave, OR if I choose not to go, I'll miss out on seeing my friends. 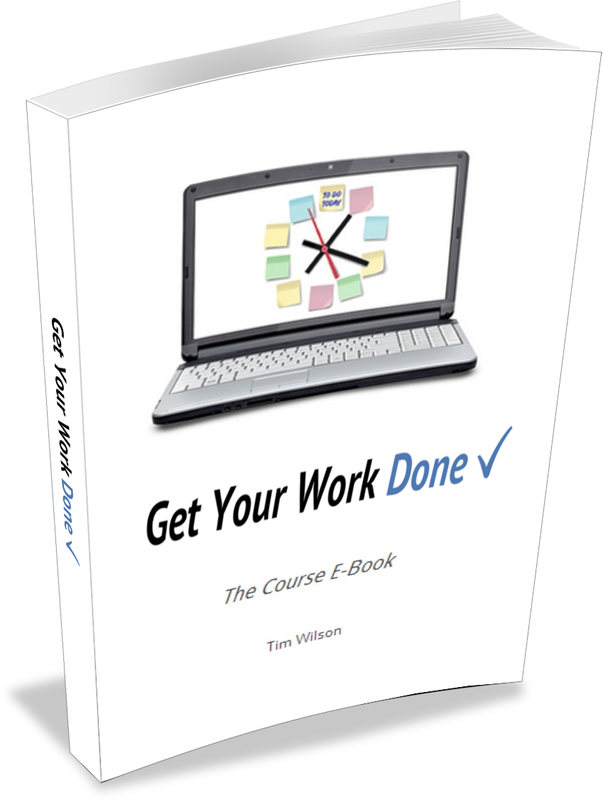 You’ve written extensively about using productivity systems and developing self-discipline. Which do rely on most to get stuff done, and why? I touch on this in the next question, but the single most important thing I do is I write everything down. I always know what I need to have done, and what I'm going to be doing. If plans change, they change: but I try to be 1-3 weeks planned out if I can, and then move things around and adjust if things come up. What have proved to be the three most effective time management techniques you’ve applied in your life? Put it on the calendar and to-do list. My calendar has everything planned out, and my to-do list tells me what I need to do. Unless you know what you've got to work on, and the parameters under which you need to do it - how can you manage your time? Say no. I say no all the time. I defer, I push things back, and I do everything in my power to say no to things I'm not 100% committed to. Reflect. I spend time writing in my journal most days (I shoot for every day, it's about 95% of the time), and just spending time reviewing what I'm doing and where I'm going has enabled me to "optimize in the middle" (cut projects out or start new ones), which I believe has been far better for my time management than "optimizing at the edges" (trying to iteratively improve). Of course, I do both, but if I had to pick which is better - I'd say it's far better to work on the right things and make sure you're constantly evaluating those. Thanks for taking the time to share your thoughts, Sid. For more on time management, productivity and personal development, including an excellent free course, check out sidsavara.com.